cover some of the best vegetables that can used for your green smoothies. Yes you read that right. Before this, I also think that all vegetables are the same. They are plants, so they are supposedly to be very healthy to eat and have many nutrients right? But throughout the years, I’ve found that vegetables are a very broad term, and can be divided into subcategories. And each of these subcategories have their own characteristics, nutrients, and values to us. Recognizing these differences will help us understand their nature, as well as how to consume them in the most effective manner. For me, there are 3 main types of vegetables: leafy green, starchy cruciferous and others. Let’s get on to each one of them and see their differences. Spinach and lettuce are the main examples of this category and are have been used extensively in green smoothies all around the world. Main characteristic of this group is it’s easy to digest nature and have green beautiful leaves – a signal of the huge nutrients inside them. Most people do not have any problem eating these vegetables raw. 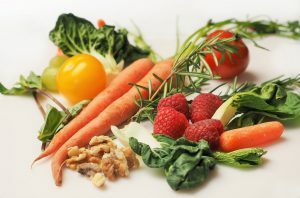 I believe vegetables in this group should be our main smoothie ingredients because of our stomach’s ability to digest it raw and absorb all of its nutrients. My favorite vegetable (and Popeye too!) is rich is Vitamin K, A, C, B and E. It also has a wealth of minerals in the form of manganese, folate and iron. 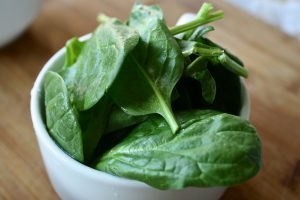 Spinach is the star vegetable in phytonutrients. It contains numerous types of flavonoid and carotenoid, which has anti-inflammatory, anti-cancer and anti-oxidant properties. Not only that, the huge Vitamin K inside it will help with maintaining bone health, perfect for ageing people. I’m sure you have heard about lettuce. There are many types of lettuce :- romaine, iceberg, butterhead, etc. This vegetable is a staple for salad because of its crispy leaves and mild sweet flavor. Same as spinach, lettuce packs a lot of vitamins (K, C, A). It also has the combination of folic acid, potassium, Vitamin C and fiber that can contribute to heart health. This is the second group of vegetables. Kale, bok choy and broccoli are some famous examples of this group. They are also green and nutrient packed, but their high cellulose is not something that everyone can tolerate. A cow is able to eat grass because it has 4 different stomach compartments to digest the cellulose in grass. Us human only has 2 and is not very efficient it in (think about eating broccoli raw.. you get the point). 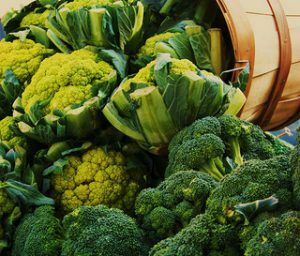 But still, some of these vegetables are among the most nutritious vegetables out there and it will be a great loss if we avoid them completely. Fortunately, there are ways to eat them safely: either to cook them or blend them. By cooking them, we are breaking down the cellulose walls so that our stomach will have an easier task of digesting and absorbing their nutrients. It will even take a longer time to cook these vegetables (4-5 minutes). 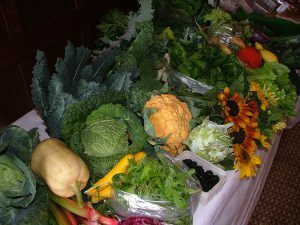 By comparison, the leafy greens should only be cooked 2 minutes max as to not lose its nutrients. Blending them is another way. This will reduce them into small pieces which will really help in digestion. For these purpose, a high powered blender like Ninja NJ600 or Nutribullet can be used to reduce these vegetables into purees. Trust me, a low powered blender can NEVER blend any vegetables into smoothie drinks. What you will get using these cheap blenders at most is some shredded leaves. Kale is one of the top contender with spinach for the title of the best vegetables around. Look around and you can find that most green smoothie recipes will have at least either one of them. And that shows how great they are. In terms of nutrition, kale has almost the same nutrients with spinach, albeit at different amounts. Kale has a higher density of Vitamin K, A, and C while spinach is higher Vitamin E, B and potassium. While debate has been ongoing for years on which of them is the best, I tend to believe that both of them are great and we should consume both of them to ensure we get the best of them both. 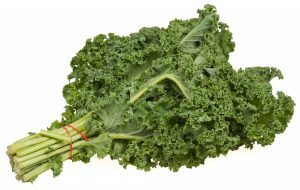 Not to forget, kale also has numerous types of flavonoid and carotenoid, with anti-inflammatory, anti-cancer and anti-oxidant properties. Bok Choy or typically called chinese cabbage is one of the members of the cabbage family. It is a nutrition rich vegetables with Vitamins K, A and C.
Actually the last category is a very broad one. Other vegetables that are do not have green leaves falls into this and they can be categorized into legumes (beans, nuts), roots (carrot, beet, potato, yam), squashes (pumpkin), fruit-vegetables (cucumber, tomato). Without a doubt, they are also tremendously nutritious, but their usage in a green smoothie is a bit limited because of our body inability to properly digest them in their raw state. Most of them are better suited to be eaten after cooked (pumpkin, beet, potato). But some of them are exceptions, like the carrot, cucumber and tomato. These vegetables can be eaten raw or blended for our digestive system to work properly on them. Cucumber and tomato especially have a huge amount of water in them. You can always use them as substitute for fruits in your green smoothie (well, they are actually fruits after all). In concluding, I wish to reiterate my point earlier, there is no single “best” vegetable out there. Each of the vegetables have their own benefits, and it would only be wise if we were to consume all of them together to reap ALL of their benefits. What I’m doing is I rotate the type of vegetables I use for my smoothies. One day I could be using spinach while tomorrow I might use kale and lettuce for other days. That’s how I make sure I am having the best benefits of green vegetables. Well, that’s about it on the best vegetables for green smoothies. Please drop your comments or feedback below. Thanks for reading this. Cheers! Isaac thanks, fo sharing. I like making smoothies and my favorite one includes green leafy vegetables and I agree with you, they are easy to digest and just super when combined with a ripe banana. Informative article. I will return to your site. Speaking of green smoothie, be sure to check out another article of mine on how to make green smoothie cleanse. Hi Vivian! Thanks for dropping by again. Though they will not taste as good as fruits, vegetable are hugely packed with vitamins and minerals. If we look at the numbers, leafy green vegetables has more vitamins and nutrients per gram versus most fruits out there. And this while having almost no calorie, making it the most nutrient dense food in our planet.